¡Hola! I’m a Spanish Freelance Developer, living in Madrid, and a proud husband and father of 3 children. Born in 1979, I got an MD in Computer Science Engineering at the Technical University of Madrid (Spain). I’ve been programming for many years, professionally since 2000, and as a Freelance Developer since 2016. Likewise, I’m a libre software and open-source enthusiast, and a follower of the open data and copyleft movement. I collaborate with several open-source projects, with OpenStreetMap and Wikipedia. In the last years I’ve specialized in web programming based on PHP language for the backend (using WordPress and Symfony), and ReactJS and jQuery based frontends. My résumé, including a portfolio of the projects I’ve worked in. Information about other projects I’m currently working on. Do you need help for your project? If you are seeking help to carry out your project, you can contact me to check my availability. 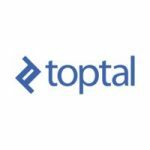 If I can’t help you at that moment, I recommend you to contact the freelancer platform Toptal, which I have been part of since 2015 along with 3% of the best developers, designers and financial experts from around the world. There, they will put you in touch with expert talents, very capable of solving your problems. But please, when asked, tell them that I referred you! I would recommend David without hesitation, he’s an excellent developer. Always a pleasure working with him.